Our Smartboard, when combined with hardware options and selected firmware packages, can be used simply as a managed industrial switch up through a fully loaded Gateway or Programmable Automation Controller (PAC). A Smart Netbox is a configurable network appliance, to which Gateway and PAC firmware can also be added. Our industrial SoftPLC Gateways (protocol converters) offer the best performance and broadest set of features available. Every Gateway can support up to 16 different protocols with virtually unlimited data capacity. Built-in advanced functions such as data manipulation, logging, email, and more make these SoftPLC Gateways suitable for a wide range of applications, with minimal disruption to the existing systems. A SoftPLC Gateway can interface to our Tagwell cloud-based asset management system for access to your remote systems. TagWell is SoftPLC's cloud-based Remote Asset Management system. TagWell provides secure, low-cost access to your remote systems via web pages or web-based applications. No need to travel to remote sites - use your smart phone or any web browser to monitor and troubleshoot systems no matter where they are located. Concentrate data from multiple remotes onto reports or into a database. Our Smart Netbox can be equipped to serve many needs. It is a managed switch/router. Add a modem and it can support both dial-in and dial-out functions for remote maintenance and troubleshooting, allowing access to any devices connected to the Smart Netbox ethernet or serial ports from your dial-up connection. Add the Firewall package for security on network connections, including the PPP modem channel, if applicable. An optional fiber interface provides media conversion. 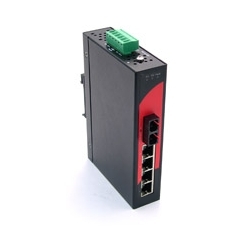 Any Smart Netbox, SoftPLC Gateway or SoftPLC controller can include the embedded firewall as an option. 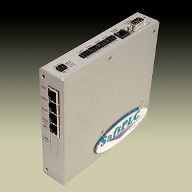 Similarly, any SoftPLC Gateway or controller can be used as a ruggedized hardware firewall by removing firmware packages. Included templates for commonly used rules make our firewalls easy to configure. Whether you need a low cost unmanaged switch, a managed switch or router, fiber optic interfaces, or high-end dual redundant switches, we can provide products to meet your industrial ethernet needs.